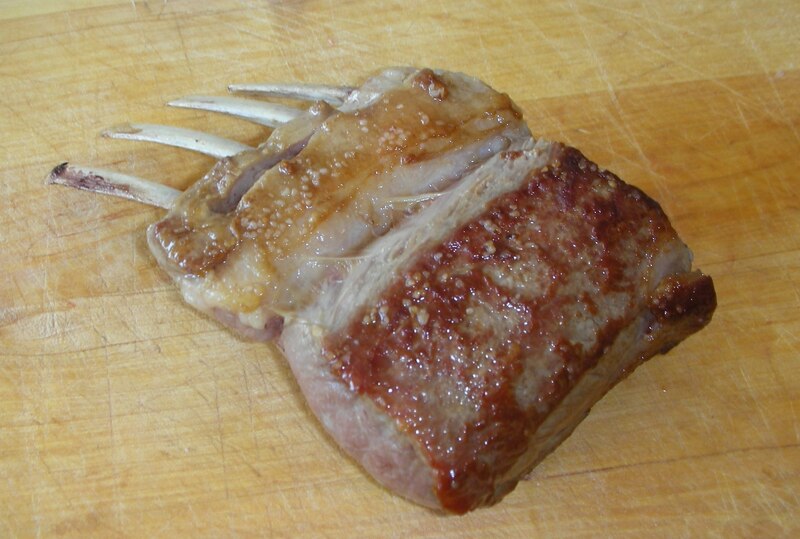 Shown here is a cleaned and “Frenched” lamb rack. As I mentioned in this week installment of “Cooking with Clint,” both Trader Joe’s locations (www.traderjoes.com/stores/index.asp) currently stock New Zealand lamb. 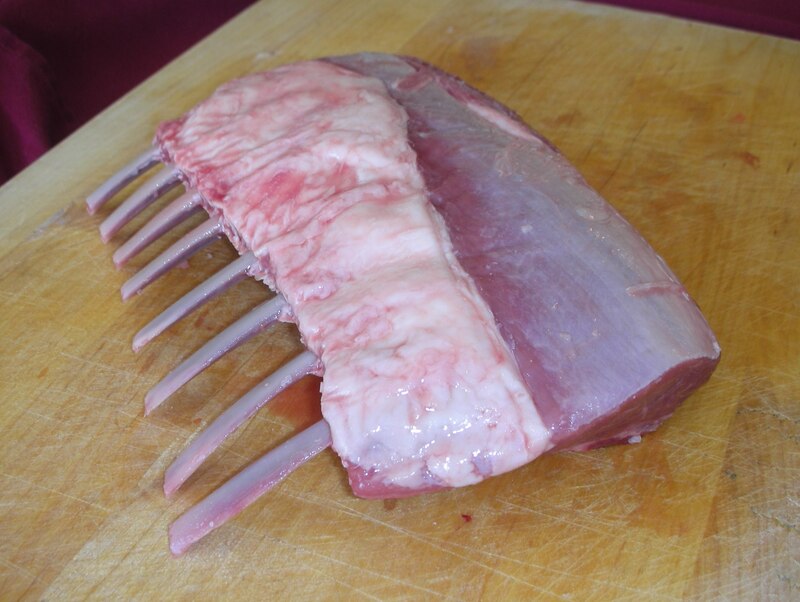 Each lamb rack contains eight ribs. For this recipe, I’ve designated two chops per serving. Next, preheat oven to 400ºF. Season the chops with kosher salt and cracked black pepper. 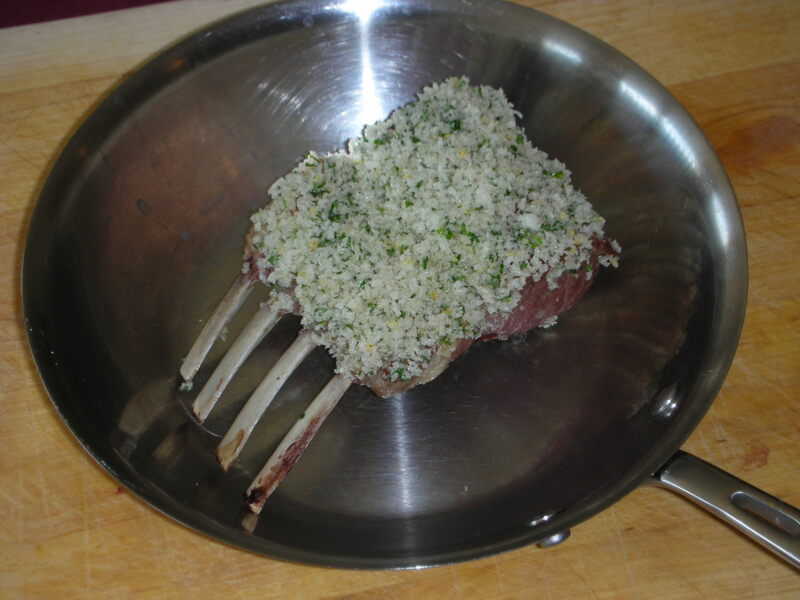 In a medium-sized saute pan, sear both both sides of the lamb. 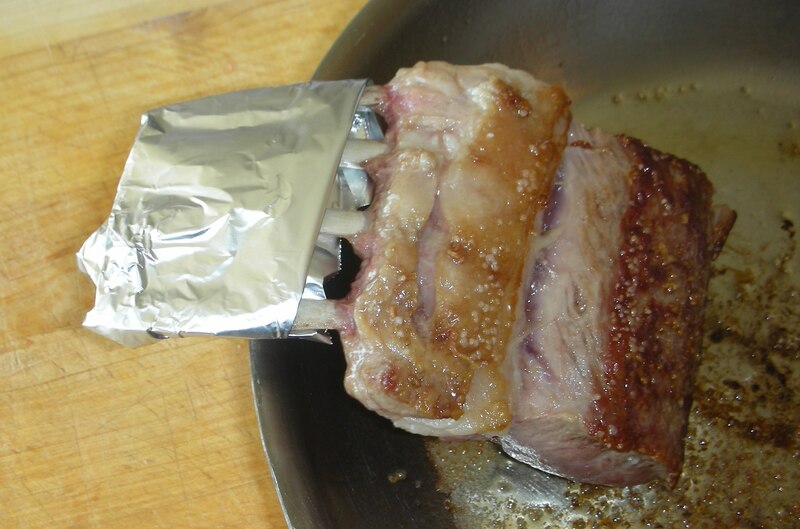 To protect the ribs from charring, it’s a good idea to wrap some aluminum foil around the bones. Place the lamb in the oven, and begin roasting. Meanwhile, prepare your persillade. 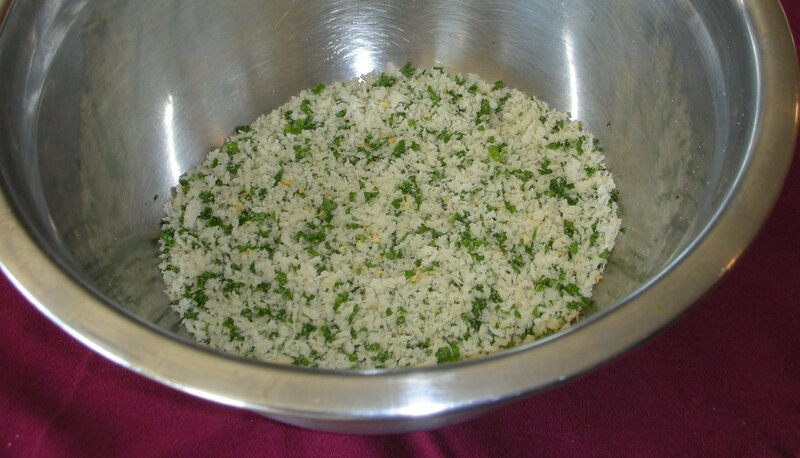 While the term persillade (payr-se-yad) may be used to designate any dish served with or containing parsley, its more commonly a combination of breadcrumbs, garlic, and parsley, used to coat meats—in particular lamb. You might want to drizzle in just a touch of olive oil. 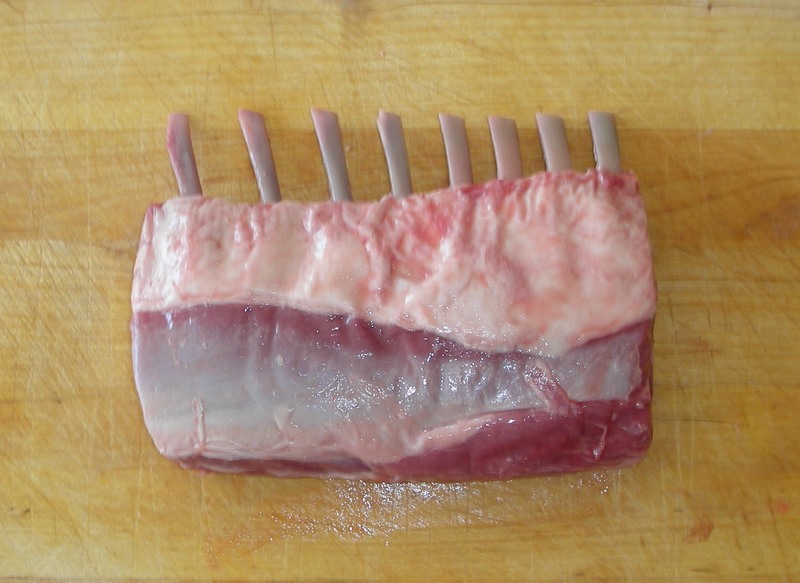 This is for color and to ensure the persillade sticks to the meat. 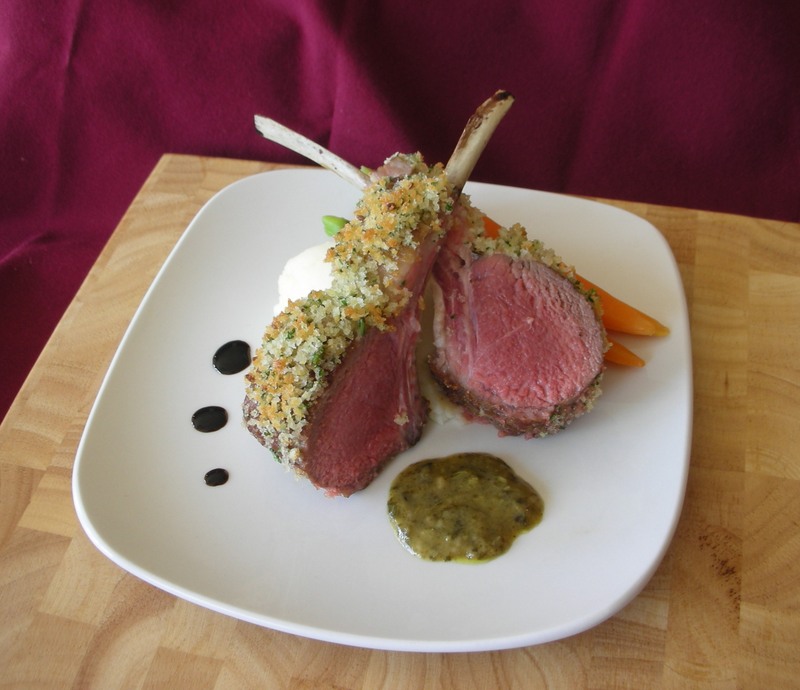 Remove lamb from oven and turn on the broiler. The meat should be caramelized and just under your desired doneness (remember, the lamb is going back in the oven). Smear softened butter over meat, and pack on the persillade. 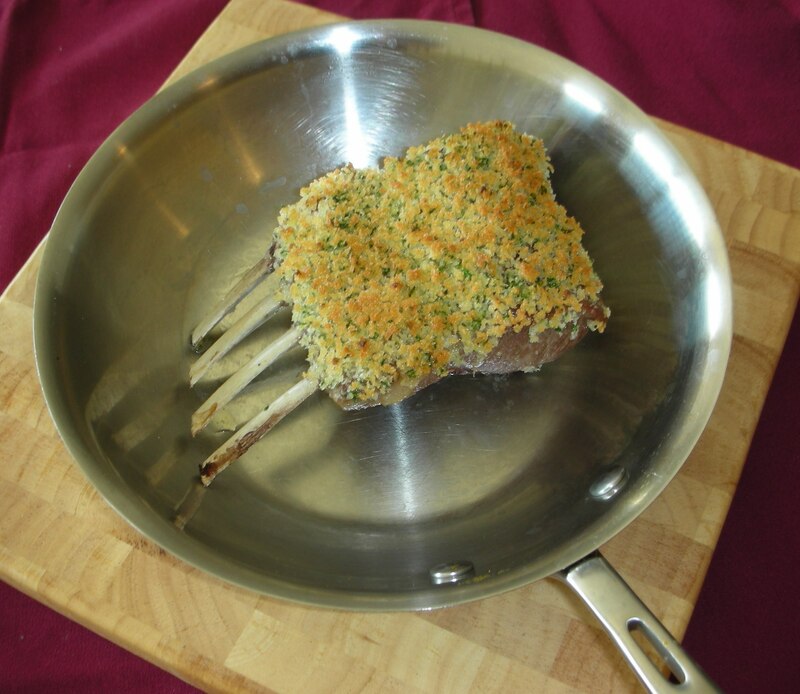 Place lamb under the broiler until persillade is golden brown. 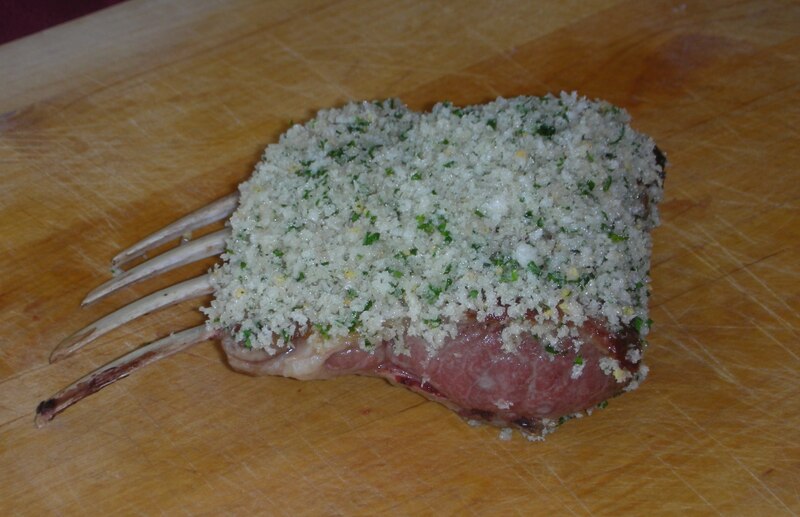 Remove lamb from oven and allow to rest for 5 minutes before slicing chops. Serve with your favorite mashed potato recipe and vegetables.